OKLAHOMA CITY (Dec.17) – The Board of Directors of the Tobacco Settlement Endowment Trust (TSET) recently approved a five-year, $14.72 million grant to the Oklahoma Center for Adult Stem Cell Research (OCASCR). Founded in 2010 with TSET support, OCASCR represents a collaboration between Oklahoma State University, the University of Oklahoma Health Sciences Center and the Oklahoma Medical Research Foundation. Its main aim is to promote studies by Oklahoma scientists who are working with stem cells present in adult tissues. For every $1 invested in research by TSET, scientists and institutions are able to attract an additional $3 for research at Oklahoma institutions. 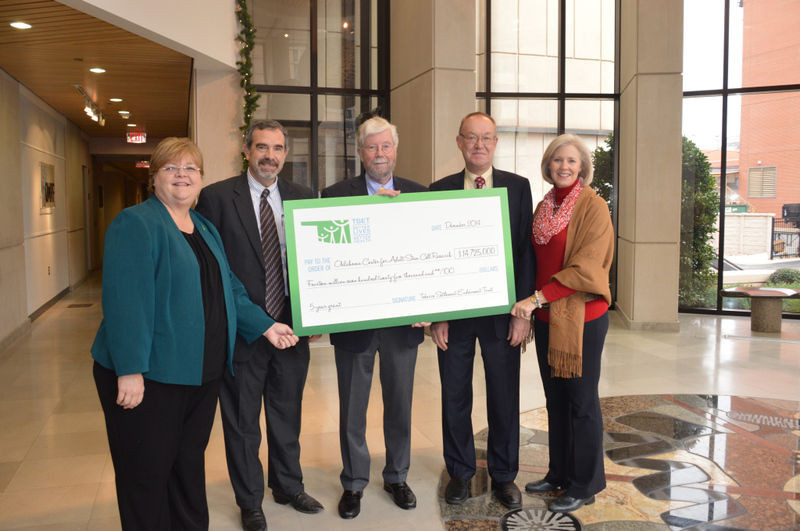 TSET also supports medical research conducted by the Stephenson Cancer Center and the Oklahoma Tobacco Research Center. For more information about TSET go to ww.ok.gov/tset.